Sean Lundy serves as Special Assistant to the President of WCF, and is responsible for liaison with the Board of Directors, preparing briefing materials, conducting research, helping drive special projects, and managing the schedule and “front office” of the President. Sean joined WCF’s Washington Office in February 2018, after working for three years with Peace Corps in Togo. For two years, he served as a Community Health and Malaria Prevention Specialist in a rural community. For his final year, he worked as a Monitoring and Evaluation Officer for Peace Corps Headquarters in Lomé, with responsibility for coordinating the assessment of Peace Corps activities in country. He graduated from Iowa State University in 2014, with a B.S. in Global Resource Systems and a B.S. in Nutrition. 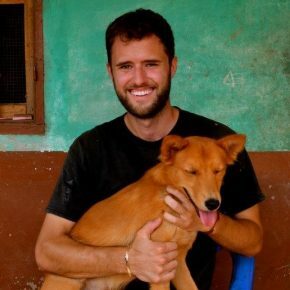 During university, he worked as an intern at the US Senate Committee on Agriculture, Nutrition, and Forestry in 2013; a research aide at the Ministry of Agriculture and Rural Development in Panama in 2012; and a project evaluator at Volunteer Efforts for Development Concerns in Uganda in 2011.